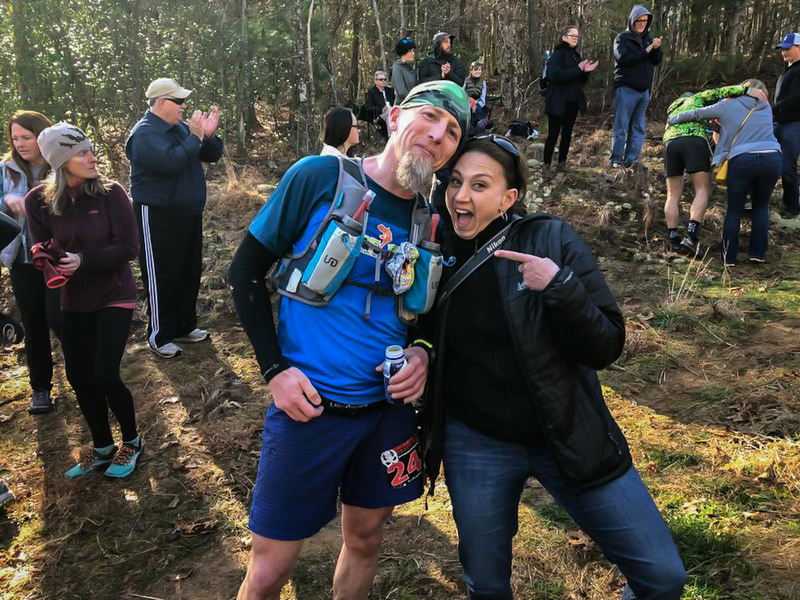 The Georgia Death Race is an ultra distance mountain race in northern Georgia put on by Sean “Run Bum” Blanton. It attracts attention each year from elites and hopeful fast dudes and ladies as it is a WS100 Golden Ticket race. It has varied in distance from 68 miles to 74 in the 6 years it has been run with elevation claims between 14,000 and 20,000 ft. Check in at the Amicalola Lodge on Friday evening was very smooth and we sat to wait for Sean and the pre-race meeting. If you haven’t met Sean or listened to the show he does with Ryan Pluckleman, “The East Coast Trail & Ultra Podcast”, he is a bit of a maniac. He came into room cursing up a storm while sipping on a Bud tall boy. The room was packed as Sean introduced the “Mariachi Amigoz” to play a few songs, including a rendition of “The Devil Went Down to Georgia”. They certainly got everyone amped up for Sean to go through the timeline for the following day and other important race information like there was a beer mile at 8 pm (before the race), people have been found passed out on the course before, and most of you won’t finish. My wife Tara and I then headed up to a hotel room by the start which was about an hour away where I arranged my stuff and tried to get some sleep. I got to the start at around 4:30 am, checked in and picked up my railroad spike. Each runner needs to carry one with them all day and I had planned ahead by making a little bubble wrap pouch for mine. This turned out to be key as later in the day I would pass a guy whose spike had ripped a hole in his pack. Sean said a few words, and at 5:00 we were off. As training, I have spent the winter doing a ton of hiking in the Catskills. I managed to tag 50 summits this winter, but I have only run about 200 miles since new year’s. As the Death Race was reported to have around 15,000 feet of ascent, I hoped my hiking legs would cover for my non-running legs. In the first 7 miles we climbed about 3,500 feet up the highpoint of the course, Coosa Bald. I was tucked in a nice group of people that were hiking way slower than I normally go but I had made a conscious decision to take it easy early on. I ended up passing runners one after another anyway, as I felt surprisingly strong on the climbs. The first 44 miles of the course were beautiful singletrack ridge running. We went up and down dozens of hills and bumps but since I love this kind of running and I felt good it was pretty uneventful. The distances between aid stations became inconsistent. The aid stations had signs, that had different mileages from what the volunteers said, which was different from the race turn sheet. Besides that, the only trouble was that I was wearing a relatively new pair of Hoka Speedgoat 2’s that started bugging my right foot, so I swapped them out at the mile 46 aid where my wife and friend Sally were waiting for me. My foot remained partially numb for the rest of the race (and a couple of days after) but I was running strong, still climbing well, going through aid stations quickly, and had good energy. This was when things got crappy for me. There was a 1500 foot descent from mile 46 to 50 on gravel road which went fine. We then hit about 15 miles of pavement and gravel/dirt roads. I kept a slow, steady pace, but it was torturous. My lack of running was evident. I just needed to keep it together. 10 miles of flat to rolling took us through the Jake Bull aid and the beginning of an 11 mile segment with a 7 mile uphill climb. Throughout the day, there had been many funny signs along the course. Signs that said, “78 mile trail race”, “You will not finish”, “You will die!”, “Sean Blanton loves Nickelback”, and then there was the giant picture of Sean's face. About 3 miles up this “douche grade” climb (you know the hill you could run if fresh but after 50+ miles you’re reduced to a shuffle at best) there was a sign that said, “In 1 mile you’re there”. Further up a sign that read, “In ½ mile you’re there”, then “In ¼ mile you’re there”. I had an idea where this was going. The last sign, in the middle of nowhere, said “You’re there! I never said where THERE was! 3 more miles to the aid station”. I imagine this was a bit heartbreaking to more than a few runners. Some solid speed walking eventually brought me to 65. I ate and drank. I had avocado, potatoes, a girl scout thin mint, a cup of Coke, and then beer. The beer was so good, it was the best mouthful of the whole race. It wasn’t sweet like all the Scratch and Gatorade I’d drank, but bitter and full of carbs. I took off out of the aid station like it was rocket fuel. I ran a half mile of flat gravel nice and steady and then turned off onto a 6 mile long single track descent. I’ve heard stories were people came back to life late in an ultra, but it had never happened to me, until then. Early in the day I was telling myself to take it easy on the downs, save your quads. I tested them, and they were alive! I started bombing downhill as fast as I could. Both legs felt incredibly fresh and strong and I took advantage of it. I had been trading spots with a couple of guys over the past 20 miles. I thought they had lost me for good on the long climb, but I started to reel them in. I easily passed 5 runners in the 6 mile descent to the visitor center, I could have run downhill forever! It got dark during this section but that didn’t slow me down much. At the bottom of the hill you come within a couple hundred feet of the finish but it’s not over yet. The course turns and runs a mile and a half uphill, with around an 800 foot climb, through the center of the park. The trail brings you to the base of the beautiful Amicalola Falls, and the 600 step staircase that ascends it. I was on a mission to crush the stairs. I did not rest on a single step and each time I could see the headlamps behind me they seemed to get further away. At the top I had to abruptly drop down a very steep pavement section which brought me back into the woods. Sean is a bit twisted as the course seemed to leave the trail in places, as I climbed over multiple blown down trees and twisted and turned down a very steep hill. Within a few minutes I was hammering straight down a loose hill side towards the finish. At the bottom of the hill there is a perfectly good bridge 5 feet away from the finish that is barricaded off just to make you get your feet wet. I splashed through the stream finish line in 16:30 (only 5 hours off the win) good enough for 27th out of 259 starters. Sean presented me with an engraved railroad spike as a race award once I dropped my spike into the finish line coffin. My watch recorded 74 miles and 16,300 feet of ascent. This was my 5th time going 100k or longer and it was definitely the best I have done. I felt good all day, finished strong, and most importantly, I had fun and wanted to keep running. There is nothing more I could have done any better. I really enjoyed most of this course and I really appreciate Sean’s brand of humor and masochism. 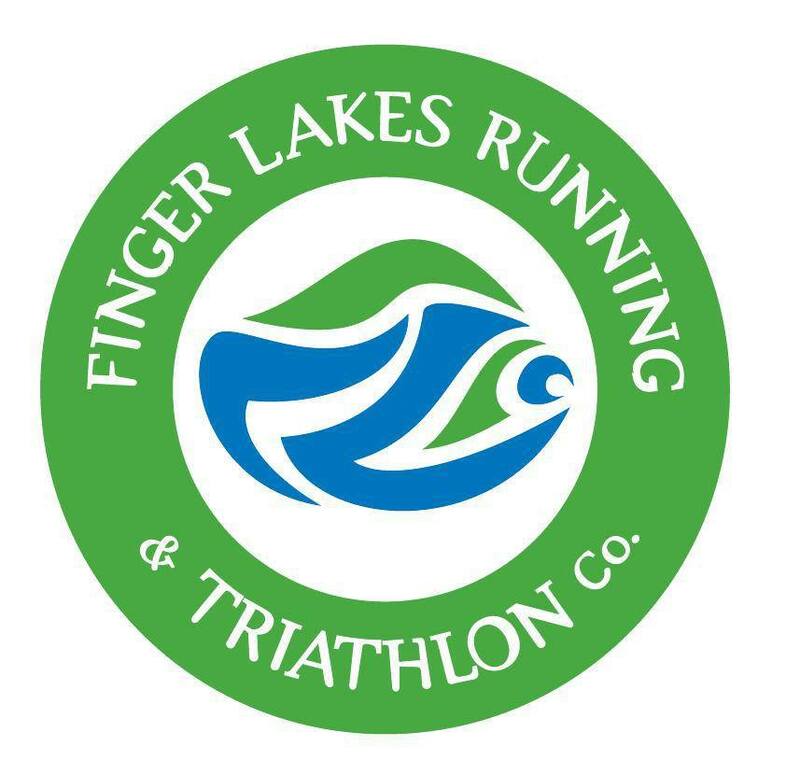 I would recommend this race to anyone who likes single track, smooth trail running, and a bunch of vert. The technical sections are super cool but limited and the environment is quite nice. I felt very remote for a lot of the race. Huge thanks go to my wife Tara for being my “Super Crew” as usual and to my MPF/RNR teammates for the support. Onward to the next adventure in May!! Photos compliments of Sean Blanton|Rum Bum tours and Tara Siudy.